I tried numerous times to use Gallery and other DIY self-hosting photo options. In the end, I found that the ease of use of the Google Picasa plugin for iPhoto squashed my need to DIY it. You can also try looking me up on LinkedIn.com, Facebook.com, and MySpace.com. I keep LinkedIn.com updated, I kind of update Facebook.com, and I pretty much completely ignore MySpace.com except to update it when someone sends me a message dragging me back there. A couple old photos are below. 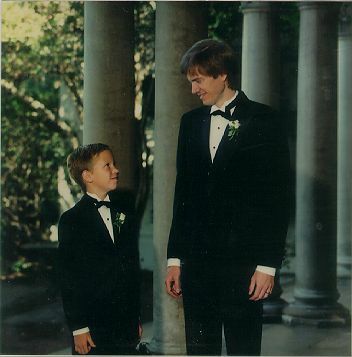 The first is me and my Dad at my Uncle Brian and Aunt Ann’s wedding when I was 8 years old. 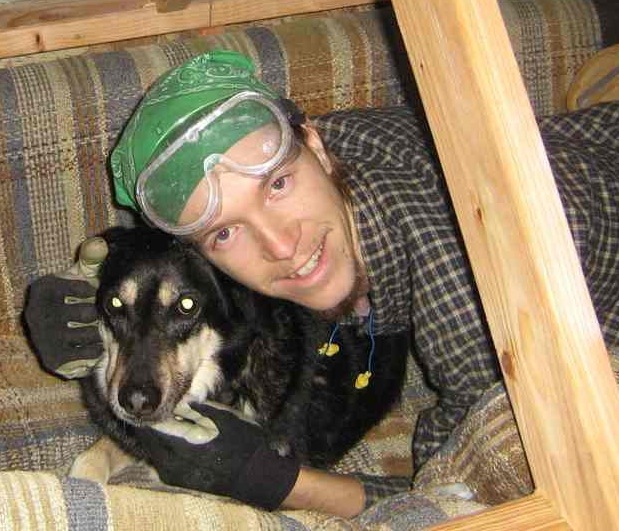 The second is me and my dog Sandy in a cushy dog-house I built her out of an old couch. Sandy has since passed away. I visit her grave from time to time to remember her and other pets.